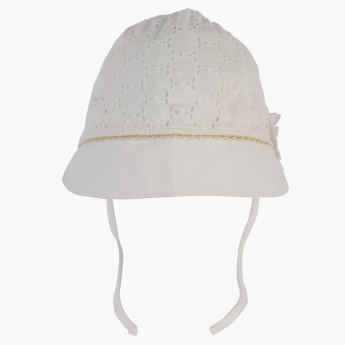 Pick this beautiful bonnet cap to lend a charming look to your little one. 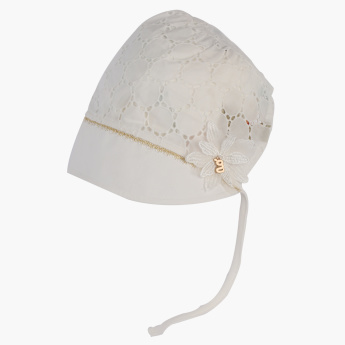 This schiffli detail cap comes with attractive flower applique to enhance the look of your adorable little one. 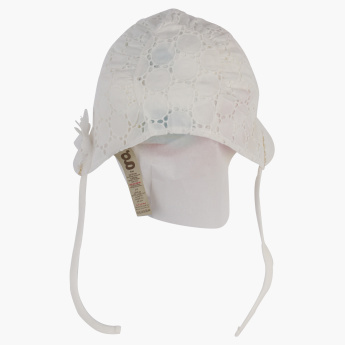 Material Composition : Lace: 98% Nylon, 2% Elastane. Woven Fabric and Lining: 100% Cotton.